Using a table to present a data in Microsoft Word2016 is a nice way of making the data readable. But more to making the data readable, styling the border of the table also makes the task of reading the content of the table delightful to the reader's eyes. 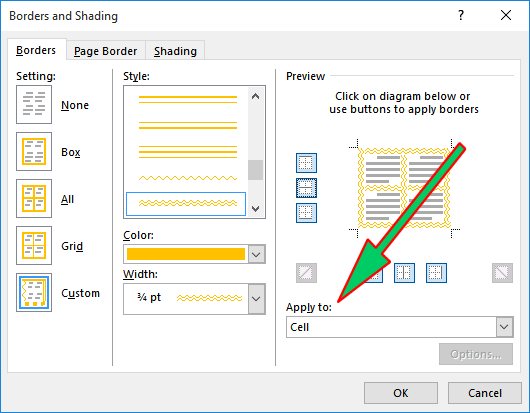 In the guide below, we explain how you can style the border(s) of just a cell or selected cell in a table when you are working in Microsoft Word2016. First thing first, you need to create a table, and after which, you need to select the cell you want the border(s) style to apply to. 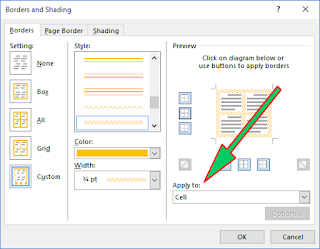 In the Table Tools tab group of the ribbon, select/click the Design tab and then click on the Border and Shading dialog box launcher which is located at the bottom-right of the Border group in the Design tab, as shown in the image below. 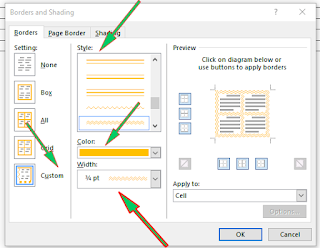 Specify the Color you will like the border style to have from the Color: drop down list. Note that, most times, the width size available in the Width: drop down list depend on the border style you selected. Next, and most importantly, in the Apply to: drop down list, select/choose Cell from list. 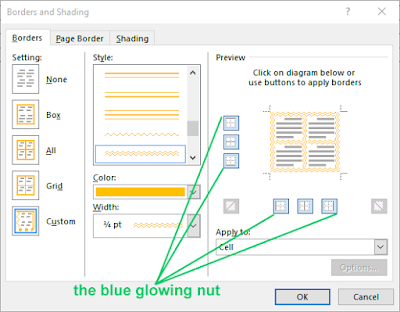 In the Preview: section, Use the horizontal and vertical blue-glow nut to specify which side of the border you want the style to apply to. 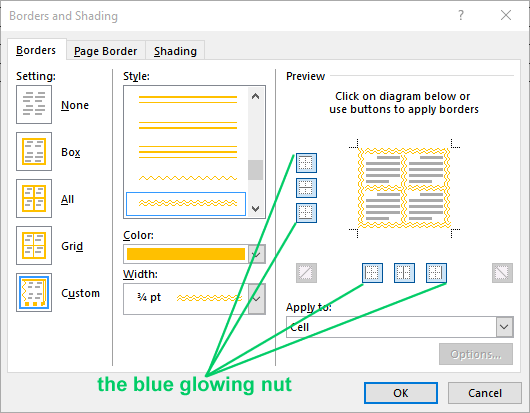 Note that if the nut do not glow, that means that that cell border it represent will not have the style apply to it. Finally click the OK button to apply the style to the borders of the cell.